The staff were all extremely helpful and understanding. Glyn ans Adam have been incredible to us today!!! We cannot thank them enough for their expeditious resolution of an issue we had with a tyre today. Mike is always very helpful, explains any problems and what needs doing . Also Mike and team always very friendly and makes you feel you want to come back. Prompt, same morning check and tyre fit. thank you. Very helpful manager who kindly said that I could return within two weeks and I could have a free check of my front tracking which the branch had checked and adjusted that day. Friendly and professional. Gave honest advice about which tyre would be best for me. Prompt, courteous service. Would highly recommend. Friendly helpful staff. Nothing is a problem. The team at my Newquay branch always are very helpful, friendly and explain things to me so I can understand any problems. I aways get good friendly service & advice. Extremely helpful and friendly every time I visit. Go out if their way to help. Love these guys! i have always gone to newquay branch for many years. always good service. Extremely friendly and helpful team at Newquay. Can't fault them at all and the aftercare is brilliant! I have been a customer for many years and always found the advice given to be very helpful. Usually a very speedy service. Today was no exception. The team at your Newquay branch are always so helpful and do everything possible to sort out any problems. The work was completed well, and within the expected time, with great communication throughout. The service given by your Newquay branch manager and team when taking my car into branch. Good communication and professional service with rapid booking and turnaround. Good telephone service. Speedy service of ordering tyres to be fitted following morning. Prompt service in tyre centre when tyres were fitted. A very fast, courteous and efficient service together with a price guarantee to be the lowest. That can't be bad and I shall definitely be back for the rear tyres when they need replacing. The newquay branch team are so friendly,helpful and genuinely caring. Being a single lady its hard not understanding everything to do with your car but the gents at newquay do explain things so at least I have an idea. Feel can trust the team which means alot. quick and efficient, good value for money. Friendly team. The friendly and efficient way I was dealt with. Also the convenience of the site, close to the town centre, so I was able to nip off to shop and come back to find the job done. Because the team are fantastic. They are hardworking, friendly and get the job done. Also explaining what and why things need to be done etc. I've come from steet on busy Saturday, asking for MOT and full service. Branch was not doing MOT's, but manager found a centre with MOT - so MOT was done, just with a full service. While I was waiting for job to finished I was offered coffee/tea couple of times. The staff at the Newquay Branch were incredibly helpful. I was in a sticky situation and they bent over backwards to help me out. This alone means I will use them again and recommend them. friendly and speedy service and value for money. good friendly service,seen to without an appointment and identified brake problem and fixed. Friendly, understanding and helpful service. Didnt make me feel like a stupid woman! Great that they had toys to occupy children whilst we waited. Excellent customer service with staff going beyond the call of duty and making their best efforts to keep the cost as low as possible. They kept me informed when things did not go to plan and even offered to drive me home when stuck without transport. 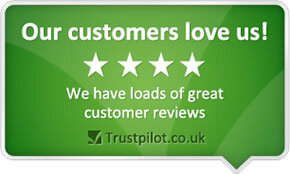 Very professional service and honest advice, and the price match makes offer National Tyres very competitive. professional service. Pleasant and polite staff. Good advice offered. Friendly service, efficient, honest and they don't try to pull the wool over your eyes. Quick friendly service. Im not sure if it is the cheapest but didn't have time to compare prices of other suppliers. im very satified with the service as soon as i drop in they just changed the tyre for me,no need the appointment no hassle.im glad. Extremely helpful service. Explained everything in detail and advised on further help. The Newquay branch that I used are as always excellent. The prices and service are reasonable and I find the staff very helpful, friendly and if there is a problem they explain what it is etc and being a woman I find that very helpful. Also trust mike the manager to advise me on any problems I might have with my car and the solutions to righting it if need be. Because my local Newquay Branch are so helpful and explain everything to me if there is anything needing to be done. I felt advice given was honest & fair. Good discounts were given. Excellent customer relationship. good quality tyres. Staff so helpful and polite, genuine garage that doesn't rip you off! The prompt service, helpfulness and attitude of staff even when working on a bank holiday. Pleasant and professional staff. Job was carried out fairly quickly. Very helpful staff, especially Sonny, I got the impression that Mike (the manager) would stop at nothing to give the best service possible. I cannot recommend National tyres in Newquay highly enough! they where very friendly and gave me extra advice on my vehicle beyond what i took it in for. Four tyres fitted quickly for a great price. Very professional and receptive. I didn't have to wait long to be seen. very helpful. Friendly and fast service and am confident in their information given. Great service , freindly helpful staff. Very fast service at a very good rate. Highly recommended. Friendly and helpful staff, excellent service, just a bit pricey. Welcoming and reliable. I have to say that I was most impressed with the staff who were extremely helpful, welcoming and professional. The workshop area was well laid out and clean. I understand that the Newquay Branch will soon be undertaking MOTs, I'll certainly consider booking my car's MOT and my wife's too and would recommend to friends and relatives. Depot were friendly and helpful. I could not have been more impressed with them. Service was excellent & prices competitive. really helpful and friendly staff who just get on with it and straight away too, no waiting around and no jargon - easy to understand and lovely chatty and friendly workers, nothing's too much trouble, very welcoming. Always greeted when coming to front desk. STAFF WERE VERY HELPFULL BUT NOT PUSHY. Fantastic customer service from the team in the Newquay Branch. The Manager (Mike) went out of his way to help me.